Majority of Americans don’t share the Lefts hatred for America. The Left hates President Trump, the American flag, unborn (now newly born) children, straight white men, the military, Jews (going back to the Obama days), a strong economy, legal immigrants, and ultimately they hate the U.S. Constitution. The Left’s blatant anti-American platform has moderate Democrats, Independents and even Never-Trumpers walking away feeling alienated, if not abandoned, at the center of the political spectrum, giving them more reason to vote for President Trump in 2020. Given the macro politics that I’m seeing, the MAGA movement will be riding a massive Red Wave that will approach the heights of 1984 Reagan tsunami, where 49 of the 50 states reelected President Reagan. Despite the main stream and social media’s efforts to censor the Right, the insanity of the Left can no longer be hidden from Americans who love their country. Even the casual voter is now seeing the Left for who they are. $30 Million Mueller Investigation Proving No Russian Collusion But A Lot of Liberal Delusion. Despite Years of Fake News Attacks and Collusion Investigation, President Trump is Sporting a 53 Percent Approval Rating Making Him More Popular Than Obama at the Same Period. Democratic Presidential Candidates Joe Biden, Bernie Sanders, and Beto O’Rourke Falling Over Themselves Apologizing for Being White Men with Privilege to Radical Leftists Who Will Never Vote for Them Anyways. The Public Lynching of Judge Brett Kavanaugh at the Senatorial Confirmation Hearings, which created a “Kavanaugh Bump” that Fired Up Republican Turnout, While Reducing Democratic Turnout. The Governors of New York and Virginia Championing Full-Term and Birth Infanticide. House Democrats Litigating, Not Legislating. Their Impeachment, Investigation Blather is Tired. Leftist Organizations Censoring Free Speech on Campuses, Social Media and the Public Square. Bernie Sanders Siding with Venezuela Dictator Nicolas Maduro and Stating that in Socialist Societies “Bread Lines are a Good Thing”. Minnesota Democrat Representative Ilhan Omar Spewing Anti-Semitic Assaults, Pro-ISIS Praise, While Pelosi and Schumer Circle the Wagons Supporting Her Right to Spew Hate. Rep. Ilhan Omar Belittling the Terrorist Attacks on 9/11. Liberal Led Sanctuary Cities Closing the Doors to Illegal Immigrants Offered by President Trump. 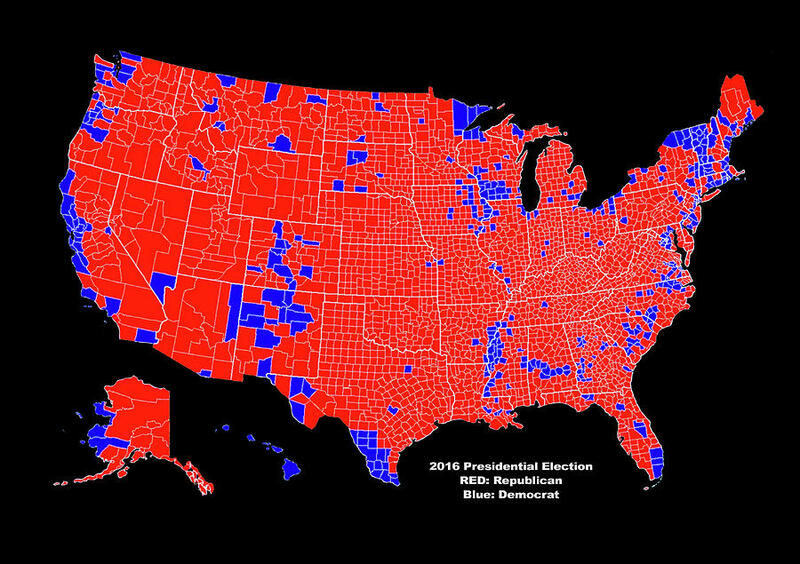 These Cities & States Are Already Blue. Trump is Exposing Their Nefarious Agenda to Occupy Red States with Illegal Voters to Turn Them Blue such as Texas. Liberals Requiring the Age of Gun Ownership to a More Responsible Age of 21, While Proposing Voting Ages Be Reduced to 16…because, well, 16 Year Olds are Responsible. U.S. Rep. Alexandria Ocasio-Cortez, D-N.Y. - Do I need to say more? Frankly, this list of the Lefts insanity could go pages. Even former President Obama speaking recently in Europe, warned his party that, if not careful, they will create a political firing squad. Meaning, the upcoming Democratic primaries with 18 presidential candidates and counting, could cancel out any hope for reclaiming the White House, not to mention retaining a majority in the House of Representatives (Prediction - the House will be Republican Again with More Trump Congressmen/women). For those who doubt my Red Wave predication just look to Florida. As I wrote about last week, Florida Governor Ron DeSantis has an outstanding approval rating of 62 percent. Trump endorsed DeSantis in 2018 primary and now Gov. DeSantis is the nation’s most popular governor, who is poised to deliver the nation’s most contested battleground. Within those approval ratings you will find head-turning stats on men/women, democrats/republicans/independents, Hispanic/African Americans all giving Gov. DeSantis high praise. That’s a strong indication of a mounting Red Wave that will be felt from coast-to-coast in 2020. As a Republican who voted for Trump, I’m feeling very confident about the 2020 election. However, I’m joined by a growing number of MAGA patriots concerned about what happens to our nation after Trump finishes his second term (that’s another blog article). This is a sign that a growing majority of Americans are already beginning to see the 2020 presidential election going Trump’s way and to those Republicans supporting our President at the Congressional and local levels. The MAGA nation will not tire, knowing that our nation is under constant threats from domestic globalists and foreign enemies behind the Lefts agenda of hate for our country. May God continue to Bless the United States of America: The beacon of hope throughout the world. Patrick Slevin is speaker, consultant, trainer and author based in Tallahassee, Florida. Patrick Slevin is a former Florida mayor. He is a two-time winner of the PRSA Silver Anvil Award of Excellence for Crisis & Issues Management. Influence Magazine named Slevin one of the "Great Communicators". Slevin has been recognized by Campaigns & Elections Magazine as one of the nation’s top political “Movers’ & Shakers". He is head of Florida-based SL7 Consulting. www.PatrickSlevin.com. Older PostIS GOV. DESANTIS THE X-FACTOR IN TRUMP'S 2020 PRESIDENTIAL RE-ELECTION BID?